One common way to reduce debt especially during the real estate boom years from 2001 to 2005 was to get a debt consolidation loan. 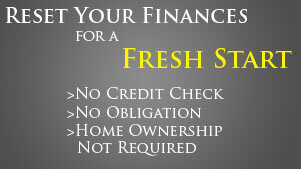 Often this meant refinancing one's house in order to include the debt at a lower, tax-deductible rate. Another type of debt consolidation loan was taking a larger unsecured loan from a bank or credit card in order to pay off several other higher-interest accounts. Debt Consolidation may be the right choice for people who are not stretched financially and simply looking to lower their cost of debt. The biggest problem is that you need to qualify, and therefore, the people who most need the help cannot obtain it. Mark Twain once wrote that a banker is like a friend who lends you their umbrella, then asks for it back when it starts to rain. The time you most need a debt consolidation loan is usually the time when you cannot qualify to obtain it. While credit card debt consolidation sounds like a great idea, it often results in people being right back in debt - with a higher debt load. For those with rigorous spending discipline, and who have not been late, and have a moderate debt-to-income ratio, a debt consolidation loan may be a good choice. Note that 72% of Americans who refinance debt like this end up with the same amount of debt or higher within two years. This means while this might look appealing, but for most, it's simply another tactic to keep you debt as a cash stream to the lender. There are three basic types of borrowing methods available, which are refinancing your home or other real estate (via refinancing, or via a home equity line of credit), unsecured loans, and credit card balance transfers. Offers for debt consolidation loans are everywhere, and the basic selling point is to roll several debts into one larger loan, hopefully at a lower interest rate. The biggest myth about debt consolidation loans is that they're easy to qualify for. They're not. Advertisers often promise a low rate and easy qualification process, but then will bait and switch to get you in at a higher rate if at all, due to debt-to-income ratios, or credit report deficiencies. Even if you successfully navigate the qualification process, funding fees and the interest rate may not save you money. These days, rolling credit card debt into your home is more difficult than ever due to lower appraisal values, more stringent loan qualification requirements, and fewer banks even offering the product. In addition, if you have any doubts to the stability of your income or your ability to be absolutely diligent about spending, you should not take unsecured debt and secure it with your home. If you get behind on your mortgage, you could end up on the street through a foreclosure auction, after which the county Sheriff will lock you out of your home. Some people try low or zero interest credit cards to transfer debt. For those with excellent credit and spending habits, this can be a great way to reduce your cost of debt, though most of the time, these rates are just teasers to keep you playing the creditor's game: making them money. Credit card companies use these to lure you in. Furthermore, "pre-approved" just means, in most cases, they chose you to get the offer. It does not carry any guarantee you'll be approved. If you apply for these programs, be sure to read the terms and conditions carefully, as virtually all will increase the rate substantially for any missed payment even on other credit cards through a clause called "universal default", or can lower your credit limit, causing damage to your credit score and potentially over-limit fees. If you cannot pay off your debt quickly, then you are part of the carefully constructed trap laid for you by credit card companies. Debt Consolidation in most cases is a short-term fix, and a variation of the game to keep you in debt. 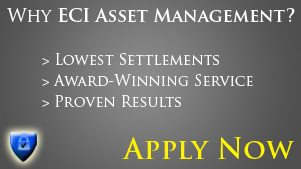 © 2009 ECI Asset Management Inc. All rights reserved. Use of this website is subject to our Terms & Conditions. Design by Gendesic Debt Settlement Website System. Admin Login.